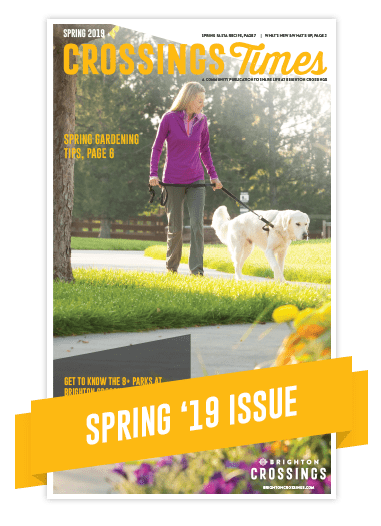 Welcome to the Spring 2019 issue of Crossings Times – a community publication to share life at Brighton Crossings. Enjoy the digital version below or visit any homebuilder sales office in Brighton Crossings to get a print copy. We invite you to share your experiences in Brighton Crossings for a chance to be featured in the next issue. LEARN HOW. We’re already working on future issues of Crossings Times, and we would like your input. 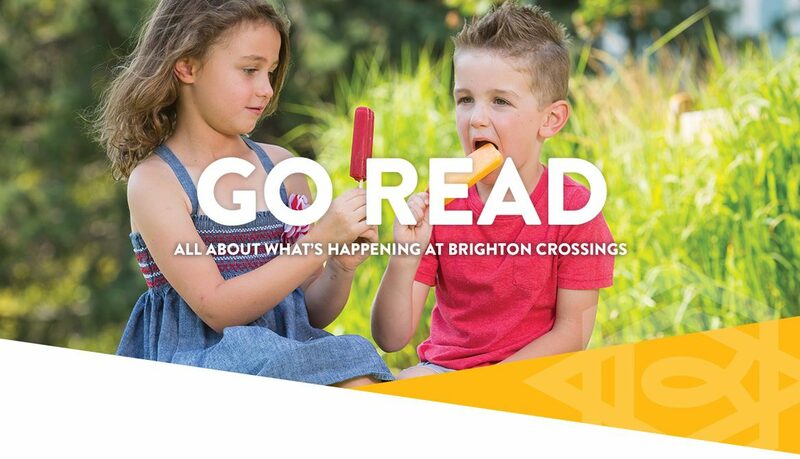 Show us how you most like to spend your time in Brighton Crossings by posting on Facebook or Instagram and including the hashtag #BRIGHTONCROSSINGS or #ITSABOUTTIME. You can also share your favorite recipe, tell us about an upcoming event or let us know if you’d like to be featured in our next Neighbor Highlight by emailing us using the form below. Don't miss all of the fun and exciting things happening at Brighton Crossings. Sign up to stay informed and to receive email updates about the next issue of Crossings Times, and more.